TUACA is an adventure 500 years in the making. With authentic Italian roots and a taste for the extraordinary, it captures the essence of discovery that defined the Italian Renaissance. TUACA began as a legendary liqueur created for Lorenzo de Medici?ruler of Florence and visionary benefactor of renaissance art and architecture. 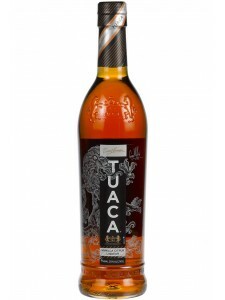 The recipe was rediscovered in 1938, when brothers-in-law Gaetano Tuoni and Giorgio Canepa recreated this intriguing spirit and gave it a new name derived from their own?TUACA. Continuing the tradition of enjoying the unique liqueur and passing it on, American servicemen drank TUACA in Italy during WWII and brought it home to the U. S. , introducing it to a whole new generation of adventurers.